A critical shortage of USA Dollars is set to hit the country as most businessmen of Asian origin have withdrawn their Kwacha and exchanged it into US Dollars which they are keeping at home and in shops. The businessmen are hoarding their hard earned money as insurance for the uncertainty that will be brought by the rebasing of the Zambian Kwacha. Starting in January 2013, the PF government will knock out three zeros from the Kwacha, meaning that the Kwacha will on paper be the strongest currency in Africa. The current highest denomination K50, 000 will become K50. Just for illustration, currently K 50,000.00 (Fifty thousand Zambian Kwacha) is exchanged for 85 South Africa Rands. After rebasing, 80 South African Rands will only buy you (K50) 50 Zambian Kwacha. A lot of cross border traders who buy products from neighbouring countries to sale for profit in Zambia will go out of business. Currently One US Dollar is trading at K5000. After rebasing, one USD will be trading around K5 while a British Pound will be trading at K8. The Euro will be trading at K6. 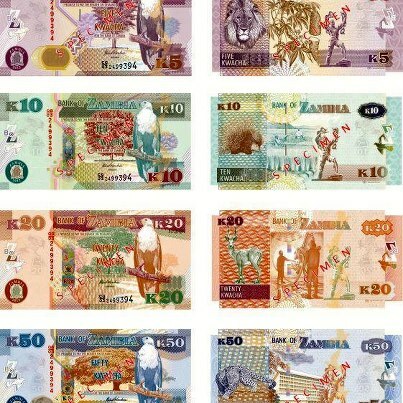 The Kwacha will be stronger than the Botswana Pula and most currencies in Africa, on paper. Already the shortage of the US Dollars has been felt in Lusaka. One banker told the Watchdog a lot of Dollars were purchased today.